Tell Secretary Kelly: Bring DACA-Recipient Juan Back from Mexico! On February 17, Juan Manuel Montes was walking to a taxi stand in his hometown in California when he was approached by border officials and asked for his papers. Though Juan was legally authorized to live and work in America through the DACA program, he was deported to Mexico just hours later. This is a direct consequence to Donald Trump's mass deportation agenda and the acts of an unaccountable agency. 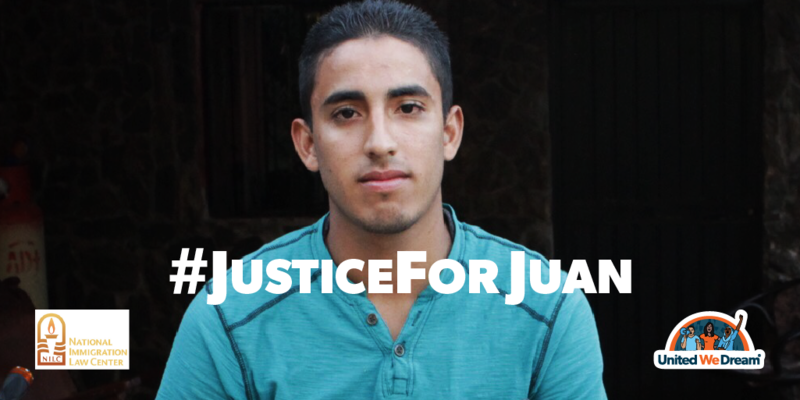 Juan Manuel must be reunited with his family in California as soon as possible. Join us in demanding Secretary Kelly take immediate action. On February 18 at 1am, your department deported Juan Manuel Montes despite the fact that he was authorized to live and work in the U.S. through the DACA Program. And despite repeated requests, your department has not yet explained on what legal authority or process you used to deport him. It’s time to explain what happened to Juan. I urge you to return Juan Manuel Montes to his home and family immediately.